The Towpedo is a torpedo-shaped device used to conduct rapid and wide-range photographic surveys of shallow coral reefs. The objectives of this study were to determine the forces acting on a Towpedo moving in seawater and determine its drag coefficient via computational fluid dynamics. A computer generated model of the Towpedo was subjected to fluid tunnel simulations using computational fluid dynamic software. The results revealed regions of highest pressure at the nose of the Towpedo, while forces acting perpendicular to the direction of motion were relatively small compared to the drag force acting along the direction of flow. Resulting drag force was also found to exhibit a quadratic relationship with velocity, which is consistent with empirical models of drag. From these results, the drag coefficient of the Towpedo was determined. M. Medrano, A. Tan, A. Hilomen, M. Soriano, and F. N. Paraan. 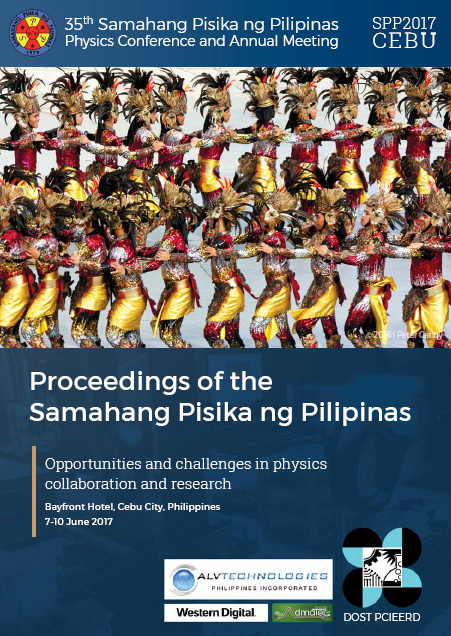 Quantitative analysis of fluid flow around the Towpedo via computational fluid dynamics, Proceedings of the Samahang Pisika ng Pilipinas 35, SPP-2017-3B-04 (2017). URL: https://paperview.spp-online.org/proceedings/article/view/213.